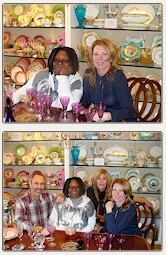 Please visit our Easter and Passover place settings at Pioneer Linens 210 N Clematis St, West Palm Beach, FL. We will be featuring a fine English antique yellow and gold dinner service for 12 and vintage cobalt stemware. Combined with Pioneer’s vast array of new placemats and linens, we will make sure your table is beautiful and festive! Invest in tradition for your family holidays. ​Bergdorf Goodman Spring 2015: A beautiful artical on “Brunching in Ballgowns” featuring some of our best pieces at Bergdorf Goodman! 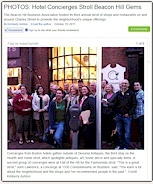 ​The Boston Globe October 2013 IT’S NOT EVERY DAY A DESIGNER gets the opportunity to bring on the bling. When designer Kristine Mullaney met with her client, a Southerner who had purchased a 1,900-square-foot condo on Commonwealth Avenue, he told her, “Think Newport mansions.” The inspiration made perfect sense: He had grown up admiring one Vanderbilt mansion, North Carolina’s Biltmore, and been captivated by a tour of another iconic Vanderbilt property, The Breakers in Newport. His own building dates from 1883. 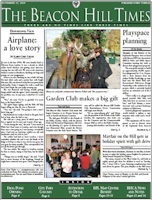 The Palm Beach Post Jan. 16, 2011 Actress/TV talker Whoopi Goldberg created a scene on West Palm Beach’s Antique Row the other day. Barbara Walters’ co-host on The View, was in town for an appearance at the Kravis. But she materialized at the Devonia Antiques for Dining store on South Dixie, and raided the place of Gilded Age table tops as a crowd gathered outside the store. “Whoopi has an extensive collection,” said store owner Lori Hedtler. “She loves to entertain at home and she uses the thousands of goblets and plates that she’s collected. She likes to know the history of each piece she buys.” On Friday, Goldberg left the posh shop with Royal Worcester soup bowls, Tiffany plates and 19th century bejeweled Moser goblets. Beacon Hill Times Dec. 8, 2009 For more than 15 years, this Beacon Hill shop has catered to many Bostonians, avid international clientele, celebrity collectors and hundreds of tourists with their collection of Minton, Royal Doulton, Barcarrat, Coalport, Lenox and Steuben. Devonia Antiques specializes in fashionable settings for today’s tables, bringing Gilded Age elegance into the modern era. Devonia’s ever-changing inventory includes all price levels appropriate for beginning shoppers who enjoy one-piece crystal to collectors who are purchasing entire table settings to brides and their families who have Devonia Antiques listed on their custom bridal registries. Venetian glass chandeliers and sconces are sold at the new location. Hand blown in a variety of colors and featuring 24k gold, these Venetian pieces are exclusively created on the island of Murano. 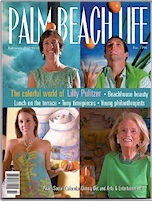 Palm Beach The Island Winter 2009 Devonia Antiques – One of Boston’s most beloved shops expands to Antique Row, bringing with it the glamour of the Gilded Age. 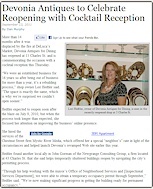 Devonia – Antiques for Dining – is the newest showroom on Antique Row, just minutes from Palm Beach, offering anything and everything pertaining to the art of dining. “This area is such a natural fit,” owner Lori Hedtler says, “So many of our clients not only reside here, but they entertain here and they entertain frequently. Hedtler travels the globe purchasing an array of unique, museum-quality pieces for the table, including 19h-century vases, antique table linens, hand-blown stemware, and china from such names as Limoges, Minton, Royal Doulton, Spode, Wedgewood, Steuben and Tiffany. From impressive, complete sets to one of a kind, single pieces, Devonia’s ever changing inventory includes oall price levels and specializes in dinner service for today’s tables. New England Home November 2008 Pg. 52 From Moser Glass, the vernerable Czech republic company, come these crystal goblets, circa 1910. Fit for royalty, but right at home on anyone’s holiday table, the goblets are encrusted with gilt and ruby colored cabochon-style jewels. 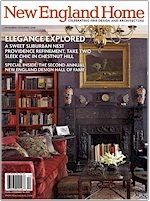 Boston Magazine Last year’s Limoges just doesn’t cut it anymore, gals. 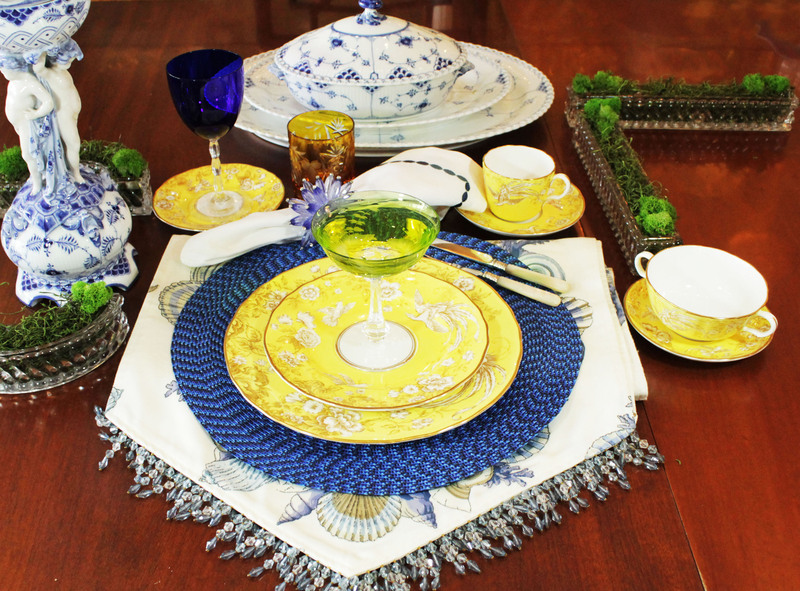 Beacon Hill brides in this bull market are listing among their must-haves the hand-painted, antique china that Lori Hedtler supplies at Devonia-Antiques for Dining, her Charles Street haven of the Gilded Age. We’re talking the sort of china that J. P. Morgan had custom-made, with gilding as thick as icing. And hand-painted porcelain from defunct North Shore estates that immortalize great-grandmfather’s best fox hunt. 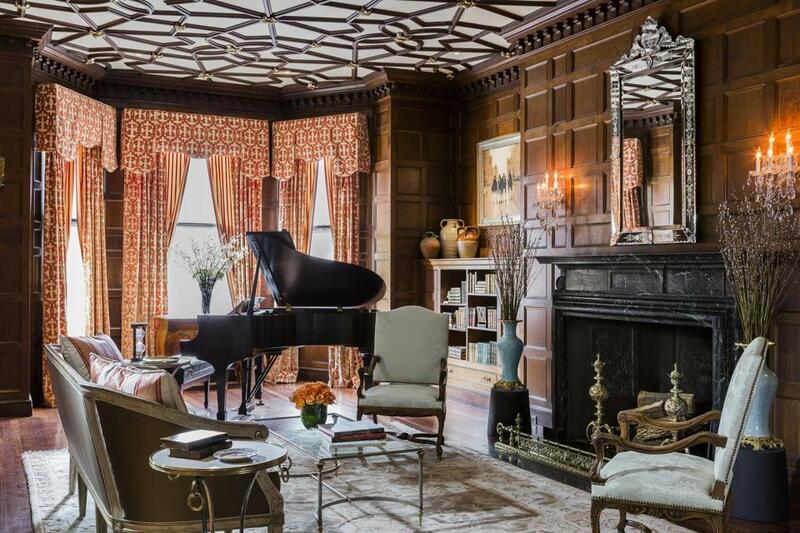 “Back 100 years ago, you had these wonderful designs that were gilded by hand,” says Hedtler. “So for the price of an expensive plate at Shreve’s, you can get something that’s 10 times nicer.” KISS-FM founder Richie Balsbaugh and his new bride Maureen bought their service here, and Martha Stewart, whose tastes tend to the more casual British pieces, Carly Simon, an antique goblet fan, and Teresa Heinz are also Devonia regulars. “I do a lot of business with the New York girls,” Hedtler says. “I sort of have a who’s who of Park Avenue and 5th Avenue.” Hedtler’s most recent prized finds come from a 300-piece Minton set commissioned by Judge Elbert H. Gary (as in Gary, Indiana) in the early 20th century. 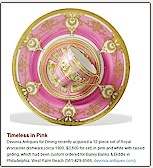 Hedtler demurred when asked how much these hand-painted, gold-standard pieces fetch, but regular prices range from $10 to more than $300 per plate. Glass Act May 29-June 11, 2000 Our connections to the past rest ethereally upon the stories told by relatives and history books. And in the age of mass-production, where cost is often more important than craft, there are few signs of Old World attention to detail in today’s furnishings. So what remains, besides the memories and legacies of past generations, are the beautiful relics they left behind. No one appreciates this more than Lori and Mark Hedtler, who collect porcelain and glassware at Devonia Antiques, a quaint hideaway amidst the ivy and bricks of “Antique Row” on historic Charles Street. Walking into Devonia is like taking a step back in time to the home of a 19th century aristocrat. A panorama of the shop reveals crystal, blue, green and pink glassware in glass cases; gilded plates; hand-painted porcelain; silverware; hand-carved wooden tables and chairs. Contrary to Shakespeare’s famous phrase, nearly everything that glitters in this shop really is gold. Of the highly esteemed pieces and sets from such legendary names as Minton, Coalport, Royal Worcester, Baccarat and others, many bear hand-designed guilded edges. 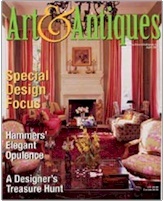 Lori reveals that most of her antiques come from the private estates of wealthy families in Europe and New England. In fact, Beacon Hill itself has been a source for some of the Hedtler’s finds, as has nearby Brookline, the Cape and Newport, R. I. Everything is unique. 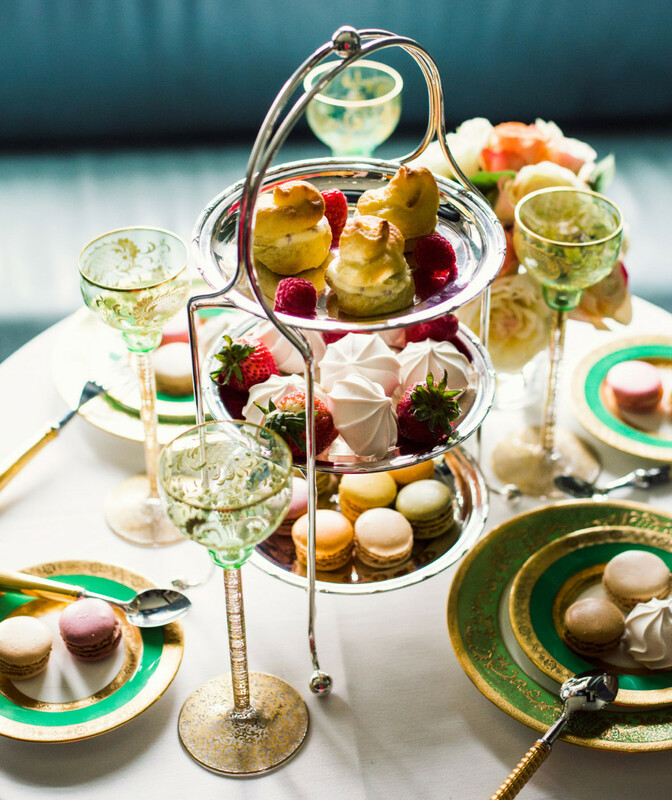 Just look under a tea set and you’ll find inscriptions like, “Made in France for Madame Defour in New York.” Though the Hedtlers have amassed an ever changing collection of exquisite value, they are not in business just for the money. Lori tirelessly educates and caters to customers who browse the shop. Pick up any random piece (but be careful!) and she can give you its historical background as well as its artistic relevancy. But more importantly, Devonia specializes in pattern matching. Whether shopping for personal use or wedding sets, Lori can help you mix and match pieces from across centuries, according to the occasion and your color preferences. 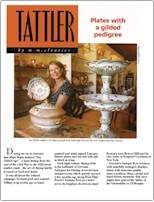 When asked how she became interested in antiques, Lori replies, “I grew up with it.” Her mother owned a shop where she collected Chinaware; and naturally, she passed on the interest and expertise to her daughter. So, if you’re yearning to own a piece of the guilded Age, drop by Devonia Antiques on Charles Street where you can literally get in touch with the past. Arts & Antiques It’s still the Gilded Age at Devonia Antiques for Dining, the Charles Street emporium that specializes in the lavish crystal and porcelain spoils that once graced the dinner tables of steel magnates and railway barons. Owner Lori Hedtler sees herself as a caretaker for pieces such as 24-karat-gold-and-enamel soup bowls ($400 each) made by Cauldon in 1890 for Tiffany, until she “finds good homes for them.” Among Hedtler’s vast inventory, purchased at estate sales and antique markets, are turn-of-the century sets from English makers Minton, Coalport, and Royal Doulton; a 48 piece dessert set in sterling silver and etched glass made in 1881 for Los Angeles retailer Robert Anstead ($24,000)) and a circa-1915 Gundy-Clapperton crystal punch bowl with 12 punch cups ($7,950). And what if dinner doesn’t require such Merchant-Ivory props? Well, there are lots of less expensive, slightly more practical pieces, such as 200 to 300 single plates starting at $30 eacy. A table for one, please.